Have a job opening in Northern Arizona? There is no fee to post to the AFP Northern Arizona site. Email info@afpnaz.org with your posting and we'll share it! Housing Solutions of Northern Arizona is currently looking to fill the Director of Development, Marketing and Public Relations position. This position reports directly to the Chief Executive Officer, and is responsible for researching and identifying grant funding opportunities as well as completing and submitting grant applications for ongoing and new programs, as well as affordable housing development projects; this includes grant funding from federal, state and foundation grant funders. The position is also responsible for identifying new funding sources and expanding fundraising/grant revenue, as well as for implementing the organization’s annual giving and donor cultivation programs, working with volunteers and staff in a team environment to plan relationship-building. Additionally, it is responsible for the organization’s public relations and media relations, including the production of social media and email marketing materials for partners, and for creating and implementing a marketing plan for the organization; may be the organization’s spokesperson to the media. Will perform other duties as assigned if needed. Complete and submit numerous grant applications from the following groups: federal, state, county and city; foundations and corporations; United Way. This includes new and renewal applications. Identify and secure new appropriate funding sources to support ongoing and new programs, as well as development of affordable housing. Implement annual fundraising breakfast event. Cultivate donors, partners throughout the year. 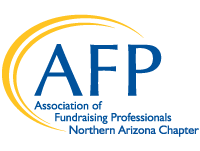 Increase awareness and giving from donors utilizing the Arizona Charitable Tax Credit. Implement and expand Legacy Giving program to build endowment. Maintain ongoing communication with the organization’s stakeholders; implement regular communication strategies, which may include email updates, social media posts, etc. Educate the community about Housing Solutions of N. Arizona’s programs and mission. Develop and promote agency brand and image in the community. Create and maintain content on multiple agency websites. Manage Flagstaff Tax Credit Coalition partnerships, media and promotions. Establish and maintain positive media relations. Identify and implement ways to recruit, retain and recognize volunteers. Work in a team environment to assess feasibility of programs and development projects from a funding and grant perspective. Complete and submit regular reports to grant funders as well as the Board of Directors. Assure requirements of grant funders are met. Maintain files and records as required. Represent the organization and make presentations as directed by the CEO. Supervises and directs part-time marketing assistant(s)/graphic designer(s). Successful candidate must have a Bachelor’s Degree in Public Relations, Advertising or related field AND 2 years’ experience in grant writing, marketing and fundraising OR minimum 5 years’ experience in grant writing/marketing and fundraising. Must have good computer skills and be familiar with Word, Excel, graphic design programs, and social media. He/She would also have experience working with databases. He/she will also demonstrate good written and oral communications skills, as well as an ability to work cooperatively with other team members. Full Time; Monday to Friday 8 a.m. to 5 p.m.
For additional information, see the job description PDF here. If you wish to apply for this position, please fill out the following form: Job Application. Lowell Observatory is looking for an Annual Giving Officer. The Annual Giving Officer would be responsible for increasing annual fund giving to Lowell Observatory, as well as understanding and employing the development process to create and maintain positive relationships between donors and members of the Observatory resulting in an increase in membership level giving and annual fund gifts. This position works in harmony with all members of the Development team, including the Membership and Major Gifts teams, and reports to the Development Manager. Adhering to the highest ethical standards. High degree of reading, writing, and verbal skills. High level of organizational and record keeping skills. Skilled in building and maintaining relationships with a wide variety of people. Able to and willing to seek input and collaboration with others. Ability to travel as needed, local and out of state. High degree of comfort with technology, especially Word, Excel, and Raisers’ Edge or other donor databases. College degree required. Degree in science a plus. Three years of experience in fundraising: direct personal solicitations of gifts and/or demonstrated success with written and electronic mass fundraising solicitations and extensive knowledge of the fundraising process. The PUSD Education Foundation are currently seeking a professional, innovative and enthusiastic Executive Director for the public school district education foundation, based in beautiful Prescott, Arizona. As the sole private education foundation supporting the Prescott Unified School District, we work in partnership with the school district to reach our goal of becoming the best school district in the State of Arizona. We depend on the contributions of time and money from the Prescott community to support our work of providing the best education for our students and the best working environment for our teachers and staff. If you share our passion for public education, join us in this excellent career opportunity. This position is responsible for these key areas: fundraising, strong leadership, planning, relationship management, and development. Reporting to the Executive Board of Directors, the Executive Director is the face of the PUSD Education Foundation. As Executive Director, this role provides leadership and direction to the board and volunteers to fulfill the mission of the foundation. • Work with the board to nurture individual, corporate, and foundation donors. • Lead the interaction with the community through convening, speaking and partnering with a diverse group of funders, policy makers and agencies. • Oversee the development of long-range goals, annual work plans, budgets and strategic plans. • Make certain the flow of funds permits the organization to make steady progress toward its mission and that those funds are allocated to ensure programmatic success and leverage other community resources. Education: An undergraduate degree is required. A degree in Business Administration, Marketing, Non-Profit Management or a business-related field preferred. Ideal Experience: Minimum of 5 years related experience. Proven successful leadership in an organization – non-profit, corporate or governmental. Proven fundraising experience including major gifts with a history of repeated success. Experience managing a significant annual budget, working with a volunteer board, and developing a strategic plan. Responsible for increasing overall giving to Lowell Observatory, the Major Gifts Officer utilizes the development process to create and maintain positive relationships between major donors and the Observatory resulting in a wide variety of significant gifts. This position coordinates with the Major Gift team and all members of the Development team. The Major Gifts Officer reports to the Development Manager. Manages relationships with important friends of the Observatory and is expected to identify, qualify, cultivate, solicit, and steward gifts from these friends as well as new donor prospects. Responsible for soliciting major gifts for Observatory programs and projects using the development process. Adheres to the highest ethical standards. Works collaboratively with and in support of other development staff, Observatory staff, Advisory Board members, and other volunteers to cultivate and solicit donors for identified priorities. Manages a portfolio of primary prospects in assigned territories. Travels to primary territories as needed to develop relationships and close gifts. The ideal candidate will have significant experience working with a wide variety of people and be skilled at building those relationships. Candidates should be outgoing, personable, energetic, and enthusiastic with excellent public speaking and interpersonal skills. Experience working on a capital campaign is highly desired. As well as expertise in closing major and planned gifts. We expect the position to require significant (50%) travel meeting new donors as well as long term donors committed to the scientific and education work done here at the Observatory. The successful candidate is expected to be highly organized and diligent in record keeping. The ability to work in a team atmosphere and carry out duties in a positive manner is essential. Bachelor’s Degree required; Master’s degree desirable. 5 years of experience in the identification, solicitation, and acquisition of major and planned gifts required. Skill in Microsoft office products is desired and the use of donor data bases, Raisers’ Edge a plus. To Apply: Please complete a short form application (https://lowell.edu/about/employment/) and send it with a resume’, letter of interest addressing your qualifications, and contact information for three professional references to humanresources@lowell.edu. This is an exciting time at Grand Canyon Association as we drive a growing program toward national reach and prominence. GCA is on track to complete its first-ever fundraising campaign in time for the 2019 Centennial celebrations having raised two-thirds of the campaign’s $15 million goal. The Manager will help build a community of inspired members and donors who care deeply about the preservation and conservation of Grand Canyon and who will make a profound impact on the park for present and future visitors. giving as the enabling component of a successful philanthropy program and has identified significant opportunities for revenue growth and audience expansion. The Manager reports to the Chief Philanthropy Officer and works closely with the Philanthropy Officer for Annual Giving and the Director of Marketing & Communications. Office location is flexible. Leads a team of multiple vendors to create compelling fundraising content, including direct mail appeals, e-mails, donation pages, social media promotions, and other collateral as needed. Manages multiple vendor relationships and works collaboratively with GCA’s fundraising and marketing teams to execute direct marketing campaigns. Improves systems, processes and policies in support of meeting revenue and supporter objectives. Monitors acquisition, renewal, and engagement metrics as well as revenues to meet established budget goals. Collaborates with colleagues and consultants to generate promotion concepts and test ideas using knowledge of fundraising copy techniques, database segmentation, and direct response campaign designs. Utilizes file segmentation and testing to better target offers for increased response and retention rates. Moves web browsers and online audiences to consider making a gift through compelling, targeted messaging. Recommends new and innovative donor acquisition and engagement strategies. Tracks emerging market trends and best practices, including new technologies. Supports the Philanthropy department and contributes to special projects and events as requested. 5 years professional experience in membership, direct response marketing and/or digital fundraising. Or any combination of education and experience equivalent to the above minimum requirements. Demonstrated ability in executing direct mail campaigns. Experience working with CRMs, digital engagement software, and familiarity with HTML, CSS, and web development a plus. Proven success in achieving goals and managing deadlines for multiple projects. Excellent organizational, project planning, budgeting, and time management skills. Ability to generate and interpret analytical reports. Track record of working collaboratively and effectively with consultants and vendors. Personal qualities of integrity, collegiality, sense of humor, and a commitment to GCA’s mission. Proven ability to handle sensitive information with confidentiality, professionalism, and discretion. Ability to prioritize and reassess in a fast-paced environment. Attention to detail and timeline- oriented. Computer knowledge in Excel, Word, Outlook and database applications. Experience with Raiser’s Edge database a plus. Ability to promote and maintain a positive work environment. The Hopi Education Endowment Fund (the HEEF) has a job opening! The Marketing and Special Events Manager (MSEM) position is a full-time position. We are looking for an energetic, forward-thinking, individual to complement our fast-paced team! The MSEM has the role of providing the HEEF professional services in the areas of marketing the HEEF brand, external communication, and planning and coordinating special events designed to promote and increase the fund. The MSEM would be tasked with working collaboratively with the Executive Director, Resource Development Manager, Office Manager, and Board Members, individually administering their own responsibilities, and providing leadership in various projects. For more details on the position description and qualifications, click here. To find the Hopi Tribe Employment Application, click here. This employment opportunity opened: Monday, November 5, and closes on at 12:00 pm (MST), November 16, 2018. Embry-Riddle Aeronautical University is seeking a Director of Philanthropy that will support the Prescott Campus. The Director will report to the Executive Director of Philanthropy, and will be assigned by University’s central development program to support the philanthropic programs and goals for the Prescott Campus, as well as the projects and programs for University at large. Works closely with the Prescott Campus Chancellor and Deans and senior staff of the central development enterprise to establish philanthropic priorities and develops both long-term strategies and tactics for addressing them. Expected to engage with their assigned unit, supporting the unit leader and designated faculty or staff in their efforts to secure philanthropic gifts for that unit, as well as to develop a rapport with personnel in the unit and to become knowledge expert in the needs, opportunities, challenges, strategic plans and points of pride for that unit. Bachelor’s degree and two years of experience as a successful, professional face-to-face solicitor of philanthropic gifts of $10,000 or more or similar experiences. Professional experience in a higher education advancement setting is strongly preferred. Professional experience in aviation or aerospace environments is an added plus. The Development Manager serves as a member of the fundraising team for the Tucson Symphony Orchestra and is responsible for the planning, coordination, and execution of all fundraising and donor stewardship events, project management of direct mail and tele-funding appeals, and grants management. The ideal candidate will exhibit a high level of organization, proven project management experience, independent decision-making, strong interpersonal skills, the ability to handle multiple tasks simultaneously and a passion for the mission of the TSO. Coordinate special donor stewardship and fundraising events, including pre-concert receptions, open rehearsals, special luncheons and dinners and guest artist events. Must be able to manage events within budgets and timelines, make decisions on external resources, coordinate and communicate with other TSO staff, and ensure excellent donor experiences. Assist in developing new events and annual planning, in cooperation with the Director of Development, and maintain, organize and manage existing special events from concept to completion, ensuring they operate smoothly, efficiently, and generate maximum revenue and exposure. Manage Raffle campaign with non-profit partner and participate in Raffle ticket sales at events when needed. Working alongside Development Task Force, Committee Chairs, Board Members, and various event related committees as required. Communicate and coordinate in a timely manner with Tucson Symphony Marketing staff for design, promotion, and external communication materials; Production staff for reserving lighting, sound, and equipment requirements, as well as set-up and tear-down of such equipment; Artistic staff for scheduling attendance and speaking engagements for Music Director, guest conductors, special artists, and musicians at all special events. Maintain and update grants management process to ensure timely submission of grant requests and reports. Coordinate staff input on proposals including project selection, budgeting, program elements and outcomes. Supervise contract grant writer to ensure necessary information is provided in a timely manner. Ensure funder research, proposals and reports are filed appropriately in shared Development drive and readily available for retrieval. This position will not be the primary grant writer, but rather ensure efficient coordination of the grant writing process. Manage content, design, list development, printing and mailing for four annual appeals. Coordinate, produce and manage telefunding lists for vendor in collaboration with the Director of Development and Donor/Patron Services Manager. Highly organized, detail oriented, excellent interpersonal skills and quality aesthetic.